Stars like the Sun oscillate due to acoustic waves in their interior. The study of these sound waves in the Sun is known as helioseismology, and in other stars it’s known as asteroseismology. It turns out to be a very useful tool. While light travels slowly through the star’s interior, taking thousands of years to travel from the its core to its surface, the stellar interior is relatively transparent to acoustic waves, which means they can travel through the star at the speed of sound. Because of this, sound waves in a star can be used to study its interior, similar to the way ultrasound is used to see inside the human body. We do this by measuring the oscillations of a star’s surface using the Doppler shift of spectral lines. Because the frequency of these acoustic waves depends upon the speed of sound, and the speed of sound depends upon the density and pressure of the star’s interior, we can use asteroseismology to determine the density of the star. Since the density of a star depends upon its mass and temperature (and we can measure the temperature of a star by its color), asteroseismology can in principle be used to determine the size of a star very precisely. While we have done helioseismology with the Sun for quite some time, doing asteroseismology with a star is much more difficult. You need to measure starlight over a long period of time, and you need to analyze it in detail to determine the sound waves. The good news is that this sort of long term data exists for some stars, such as those observed by the Kepler space telescope. 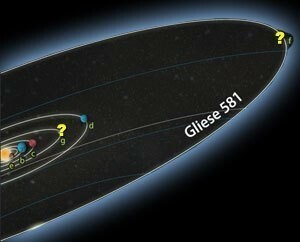 Now a new paper in the Astrophysical Journal has presents the asteroseismology results of a star known as Kepler-93. The team used data from Kepler, and through asteroseismology determined its density to be between 1.658 and 1.646 g/cc. They also Its mass to be between 94.4% and 87.8% that of the Sun. From this, they determined that the radius of the star is 91.9% that of the Sun, give or take 7,600 kilometers. Basically, they measured the width of this star to within the width of the Earth, which is extraordinarily precise. Kepler-93 has two known planets. The closer planet (Kepler-93b) transits the star about once every 5 days. From the transit data we can determine the size of the planet relative to the star, so using the transit data and the asteroseismology data the team was able to determine the size of the planet very precisely. They found that it is 1.481 times larger than Earth, give or take 120 kilometers. Think on this for just a moment. 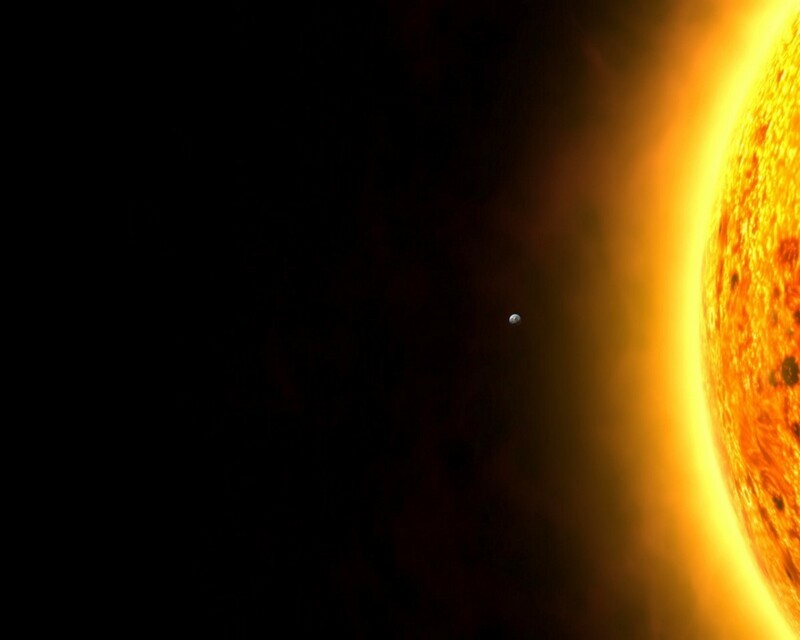 Kepler-93 is 315 light years away, and we know the diameter of the star to within the width of the Earth. We know the diameter of one of its planets to within 120 kilometers. That’s a distance you could travel in a bit more than an hour on an interstate highway. Give or take.